Every mom has a superpower, without which things would fall apart in the household. My superpower: knowing where all the random stuff is hiding. Related to this is my ability to know what things will fit in what spaces, which is handy when packing the car for a dorm move-in (or -out), vacation, or school event involving a lot of stuff. And it even works when I’m out of the house. People text me all the time when I’m not home, asking where something is. Yesterday I had gone to the mall and was derailed from my shopping mission by a rack of jeans that were on sale. (50% off! I wasn’t leaving that store without jeans.) I made 3 trips into the dressing room because I didn’t plan ahead while trying on … and the whole time, I was getting texts from my husband. He was installing the weather station we’d gotten him for Father’s Day. He sent a picture. He’d found a full-size screwdriver and stopped there. And there was. I keep those in there, even though the guitar that required the use of an actual screwdriver when a string broke hasn’t been in my possession since 1994. When I got home, I zeroed in on that junk drawer and found that old stylus, right where I’d said it would be. The screwdriver inside was the right size, too — though he’d already accomplished the task using the one he found in my church tote. I’m just hoping that Hubs forgets he saw where I hide the Robo-Grip. This article contains Amazon affiliate links. 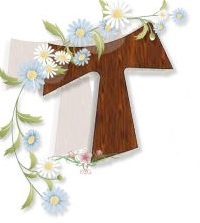 Celebrate the fun of being Catholic with two clever offerings from Ave Maria Press. 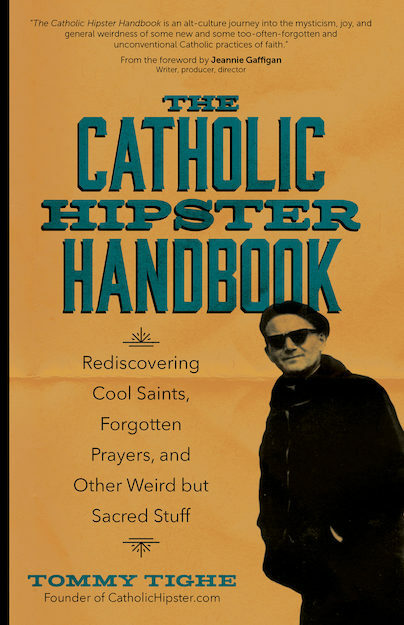 Tommy Tighe’s Catholic Hipster Handbook reminded me of what I love about handbooks. True confession: when I was in high school, The Preppy Handbook came out. My high school was preppy long before Lisa Birnbach told the rest of us how to imitate the real deal, complete with detailed drawings of what to wear for all occasions. I studied that book relentlessly, though it was clear from the subtext that as alligator-logo shirts and Weejuns weren’t in my budget, I wasn’t worthy to be among those who were to the manor born. The Catholic Hipster Handbook is packed with plenty of Catholic inside baseball without making the reader feel unworthy. This book won’t teach you how to be a cool Catholic. Instead, it revels in what’s cool about being Catholic and invites the reader to revel in it too. This isn’t a book you need to read start-to-finish. Skip around. Open at random. The only thing this book doesn’t have (that I wish it did) is a detailed table of contents that includes the title of each essay. In a book of this nature, that would have been very helpful. Who should read it: anyone who’s into history, trivia, and great stories — and who possesses a healthy sense of humor. Matt Swaim included puzzles of all kinds in Catholic Puzzles. If crosswords aren’t your thing, there are plenty of anagrams, code scrambles, word-link puzzles, and more. Do you like a challenge? Try the word search with missing vowels. Some of the puzzles are quick to complete, like “Misspelled Books of the Bible” (of course I did this one first!) and “Scrambled Partner Saints.” Others, such as “Alphabet Fill-Ins,” will take a while. 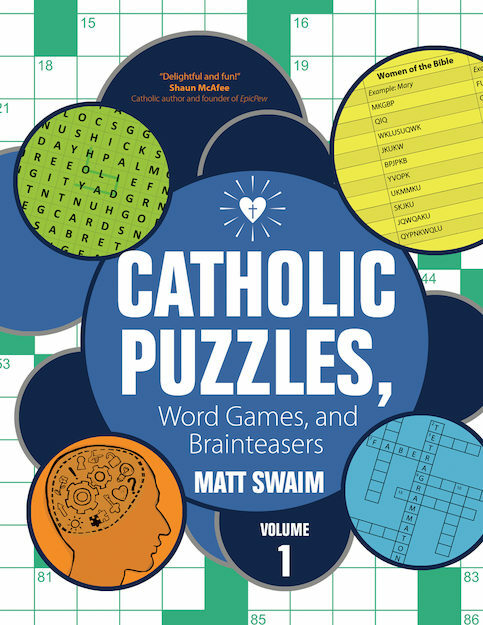 When you’ve filled in all the blanks in Catholic Puzzles, Word Games, and Brainteasers, you’ll be relieved to note that there’s a Volume 2 with even more Catholic-puzzle fun. Who will love it: teachers, youth-group leaders, and anyone who enjoys puzzles! Pair it with a pack of mechanical pencils for a terrific gift. Linda Bradley, Maggie’s Way (Montana Bound Series book 1). Maggie, arguably, has it tough this summer. Her husband of 20+ years has just “come out” and divorced her, and she’s undergoing radiation for breast cancer with only her mom for support, because she won’t tell anyone else about it. And now she has a new next-door neighbor, a very needy little girl who’s been abandoned (over and over again) by her own mother, and whose father finds himself attracted to Maggie. While the main character of this novel was irritating at times, little Chloe stole my heart. Christine Nolfi, The Comfort of Secrets. Cat Mendoza wants her marketing job to work out so she can help save her small town. A new business associate, Ryan, proves to be more than a coworker–but complications from his past threaten their future. I liked how the story came full circle–and then some! This was a story and cast of characters that I had a hard time parting with; they’re still inhabiting my thoughts. Busy Lives & Restless Souls. I picked up this book because I knew nothing about Ignatian spirituality and I welcomed the chance to learn something new. As a pragmatic person, I found comfort in the practical advice that I learned is a hallmark of the Ignatian way of life and which is so clearly explained by author Becky Eldredge. (ARC received from publisher) Read my full review. 101 Places to Pray Before You Die. Since many holy sites are closing due to lack of visitors and funding, like the St. Katharine Drexel Shrine near Philadelphia, PA, this book is a well-timed reminder to take the opportunity to visit such places while the opportunity still exists. Your visit supports the efforts of those who maintain and staff these churches, shrines and other sites. (ARC received from publisher) Read my full review. The Friendship Project. 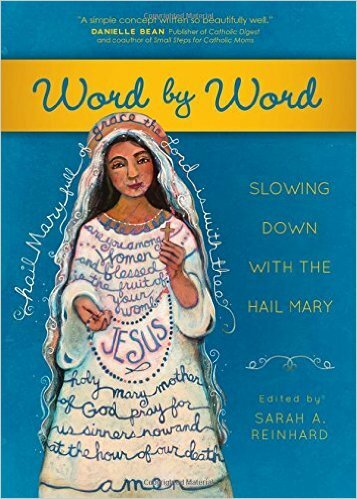 This new book from Michele Faehnle and Emily Jaminet (Ave Maria Press, 2017) inspires women to foster friendships based on holy virtues. Friends since college, Michele and Emily write from their own experience, sharing the joys of their twenty-year friendship. 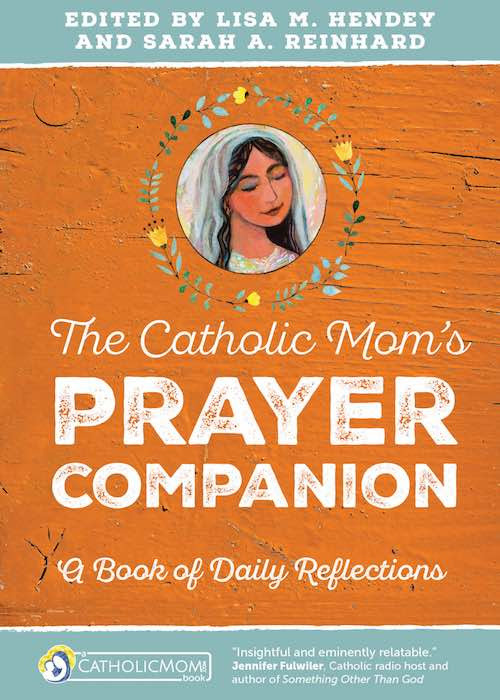 Each chapter features a pair of women saints who were friends, and focuses on one virtue that will help us to become better friends and deepen our spiritual friendships. (ARC received from publisher) Read my full review. Yesterday I was the Substitute Librarian, and substitute teaching is always an adventure, especially when you’ll be dealing with little kids. After my stint in Morning Car Line I headed upstairs to discover that the librarian had filled the bookmark basket with an assortment of holy cards mixed with publishers’ postcards advertising children’s books. The overwhelming majority of the kids chose holy cards for their bookmarks, and there was much comparing of the pictures on those cards. One first-grader displayed the Pope Benedict card he’d chosen and asked me to pronounce the name under the picture. Since these kids are only 6 or 7 and wouldn’t remember any pope besides Pope Francis, I explained that Pope Benedict was the pope before Pope Francis. “I have a Pope Francis card!” another little boy bragged, waving a picture of Pope Benedict in the air. 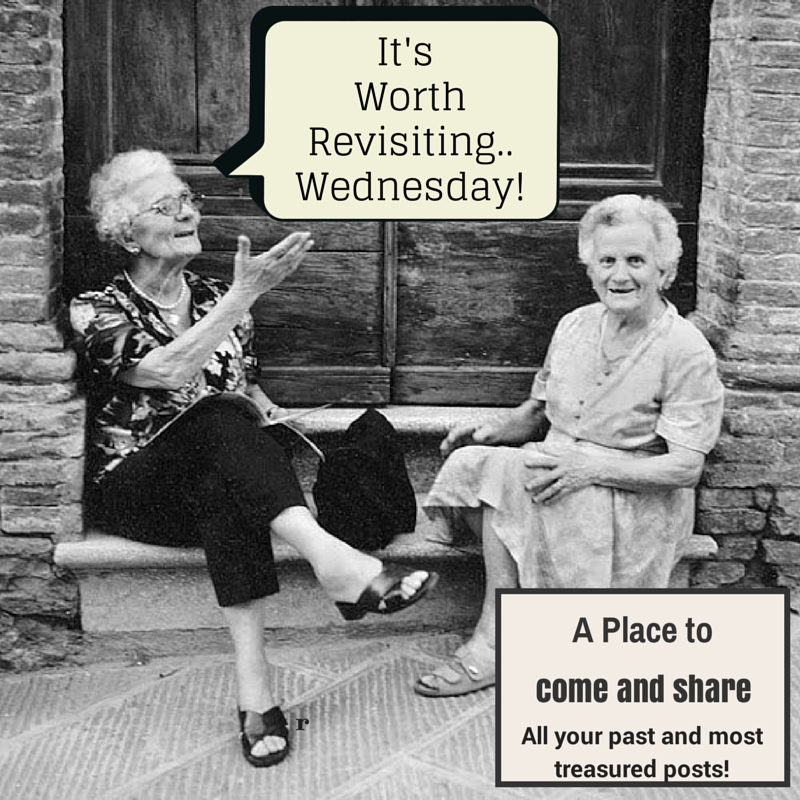 I’m linking up with Reconciled to You and Theology is a Verb for #WorthRevisit Wednesday, a place where you can come and bring a past & treasured post to share, and link up with fellow bloggers! When you’re out and about, do you bring your sense of humor with you? I definitely recommend it. 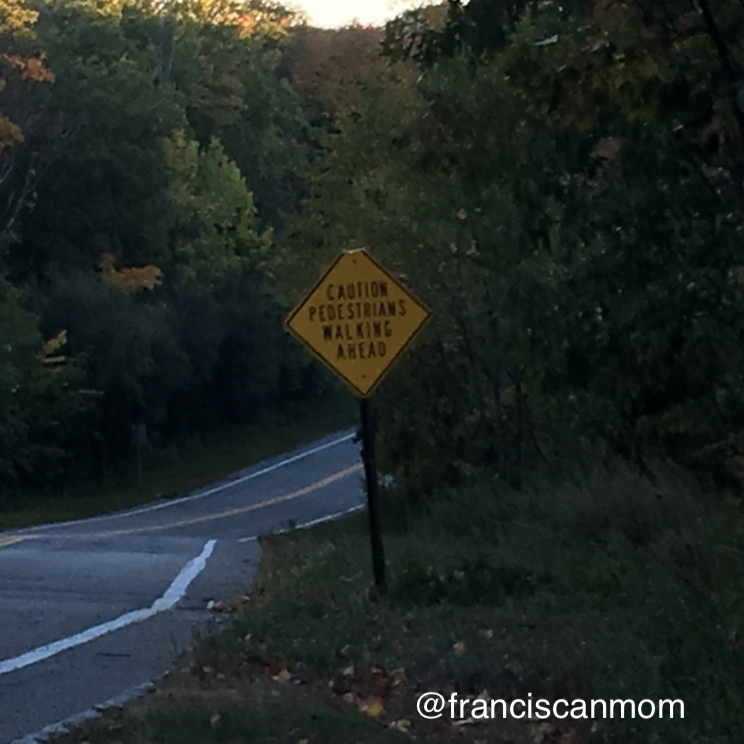 It’s hard to give in to road rage when you’re laughing at things you see while out on the road. 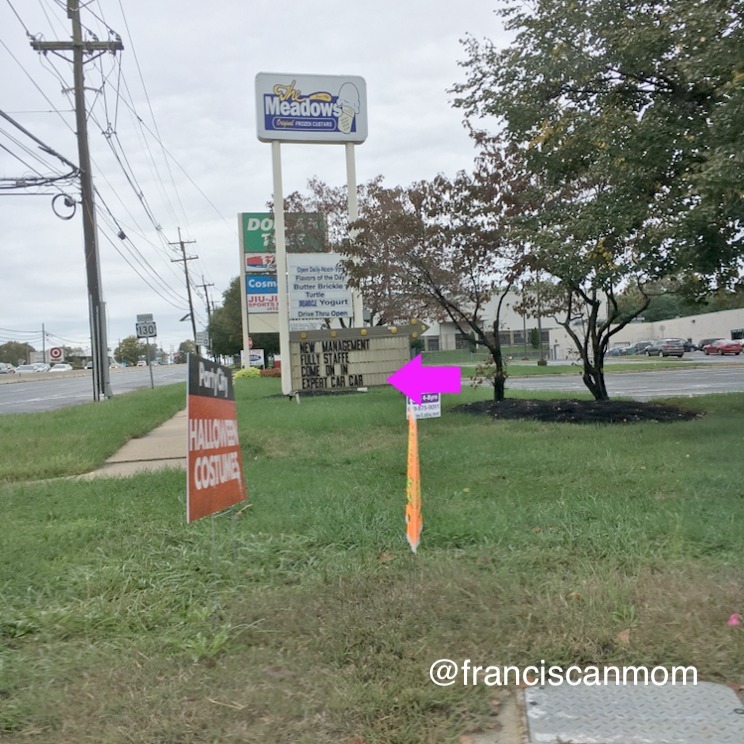 This week I’ve noticed some strange and fascinating (and just plain silly) things as I’ve gone about my errands. A real-life Bluesmobile at the Wawa. Unfortunately, Jake and Elwood were nowhere in sight. I spotted yet another Bluesmobile not five minutes later, but I was driving and couldn’t take a photo. That one still had a municipal seal on the driver’s door, but it was partially obscured by spray paint. Another day, I saw two vehicles with interesting messages on them. Again, I was driving (and alone in the car) so I couldn’t get photos. I am not even making that up. I was laughing so hard I could barely see to drive. If I were a fiction writer, this could lead to some fun speculation. 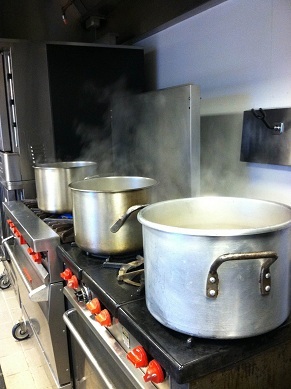 What strange and funny things have you noticed this week? Things that make editors laugh (and sometimes cry): misspellings and grammatical errors on signs. Just for fun, I’ve gathered up a few of these that I’ve found recently. Copyright 2016 Barb Szyszkiewicz. All rights reserved. Delran, NJ. I added an arrow to this one because of the hot mess of signs that’s going on at this corner along our local miracle mile. There are actually 2 typos on the sign, both caused by missing letters. But the line on the bottom is the funniest. I go through this intersection several times on any given day, and it always makes me laugh. I’m wondering what other gems the new management will have in store? West Milford, NJ. I found this paragon of redundancy around the corner from my parents’ house. It begs the question: what else would pedestrians possibly be doing? 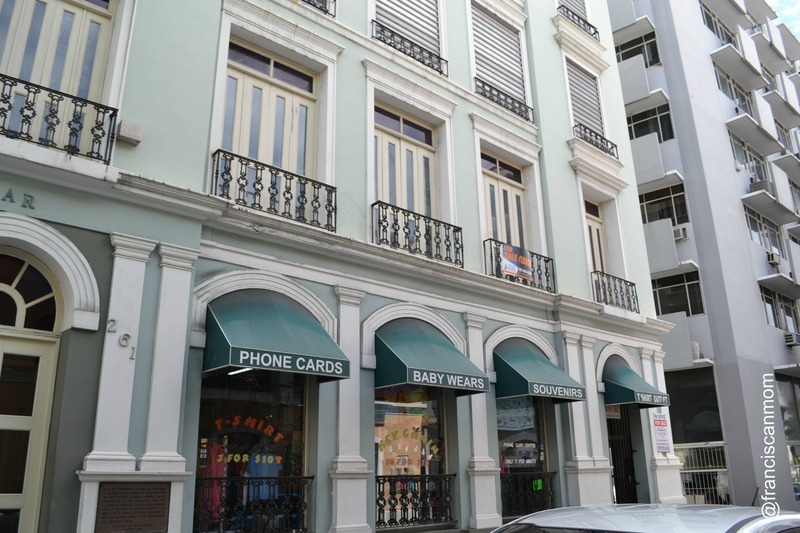 San Juan, Puerto Rico. This almost shouldn’t count, because there might be a Google Translate issue happening here. But it’s still funny. Have you ever sat down to color with your children on a rainy day and discovered that you stayed at the table, filling pages with crayon-bright colors, long after the kids had wandered away? Coloring is just so relaxing. It seems like everyone has figured this out: coloring books for adults, without cartoon characters and dot-to-dot puzzles, line shelves in art-supply stores, bookshops and stationery stores. Coloring is more than a relaxing activity, though; it can actually be a time of prayer. I’ve had the pleasure of road-testing four new Catholic coloring books for grownups. When Pauline Books & Media released two coloring books for adults this summer, they paired the books with albums of meditative music to help turn that time of relaxation into a time of prayer. 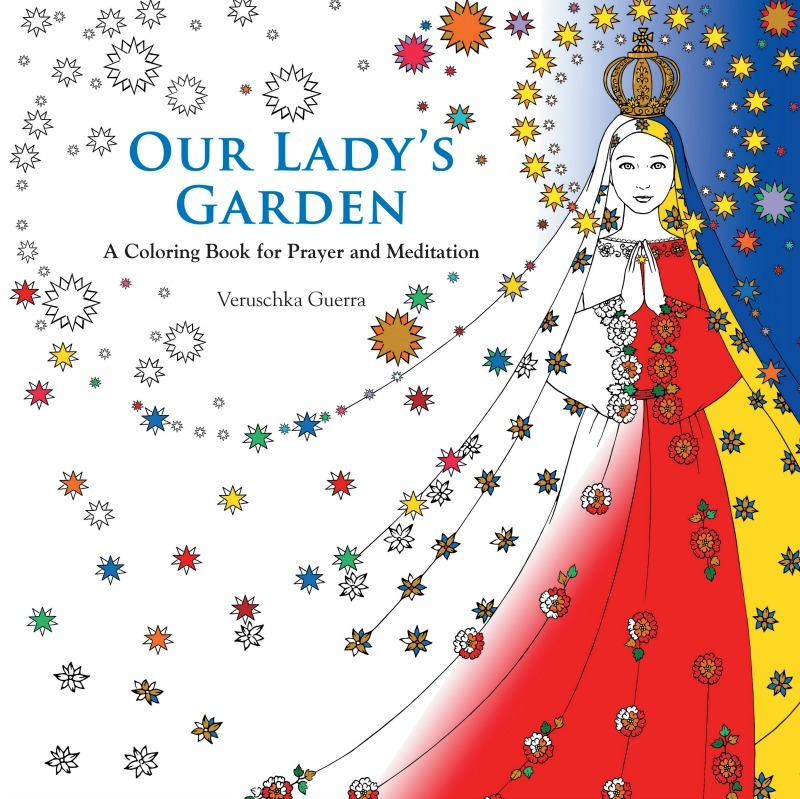 Our Lady’s Garden, a large-format coloring book, includes various images of Mary, flowers, and Marian prayers. You’ll also find coloring pages centered on quotes from the Blessed Mother at Fatima, Lourdes and Guadalupe. Some pages feature invitations to write your own prayer petitions. The images are simple line drawings with graceful lines and intricate designs. Some of the images are a two-page-wide spread. Flowers and stars feature prominently in these designs. Windows into Christ turns the stained-glass windows of the Cathedral of Chartres, France, into coloring pages. Passages from Scripture and prayers are found throughout the book, which is made up entirely of two-page spread designs. Events from the life of Christ are presented in chronological order. 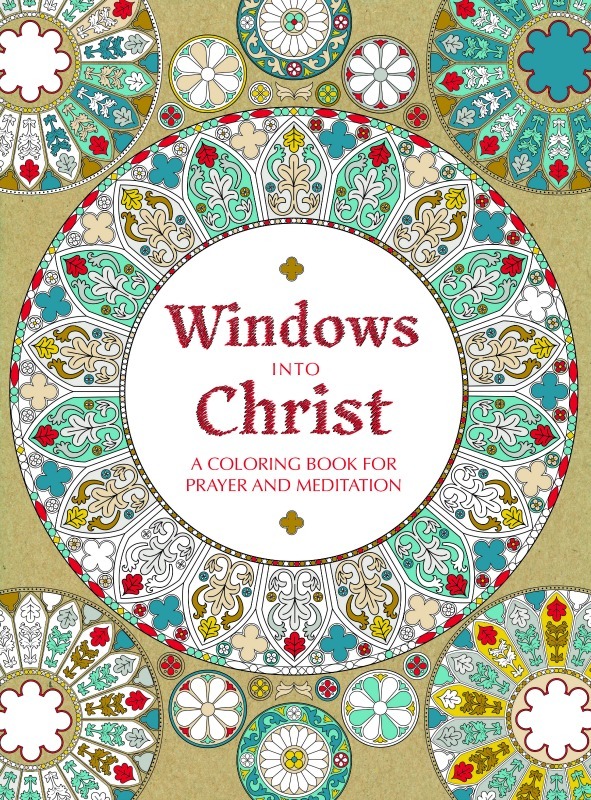 Because Windows into Christ is based on stained-glass windows, the drawings are no less intricate than those in Our Lady’s Garden, but the designs are bolder, with heavier lines approximating the lead between the variously-colored panes of stained glass in the cathedral windows. 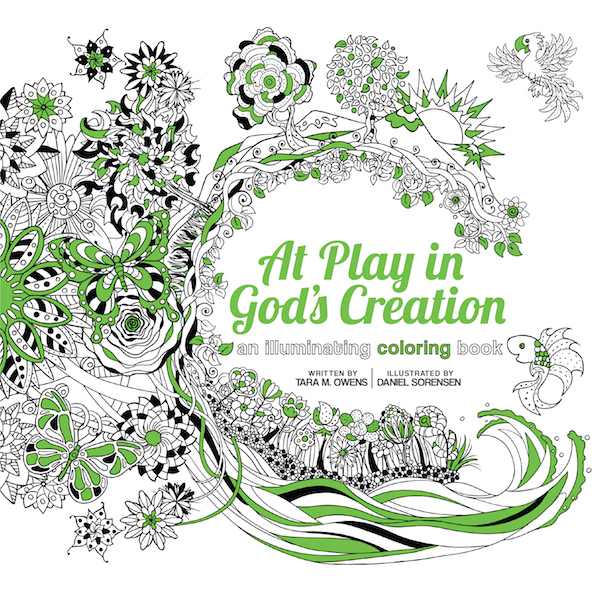 Franciscan Media just published At Play in God’s Creation: An Illuminating Coloring Book by Tara M. Owens and illustrated by Daniel W. Sorensen. A coloring book has an author? these pages contain more than lines and spaces, quotes and reflections. At Play in God’s Creation is an invitation to meditation and contemplative prayer….The words woven throughout are breadcrumbs dropped by our playful guides along the way, saints and sinners who have walked in the world before us, who understand the love of God and our brokenness in ways both profound and simple. This coloring book is packed full of beautiful designs to color, and it’s not all hearts and flowers. You’ll find a crown-of-thorns page with a candle in the center, water imagery, intricate Celtic knots, buildings, birds, landscapes, and, yes, hearts and flowers. There are also prayer prompts, quotes from saints and mystics, and even hidden pictures to find! It’s not just a coloring book–it’s a prayer journal. Artist Daniel Mitsui recently released The Mysteries of the Rosary coloring book from Ave Maria Press. 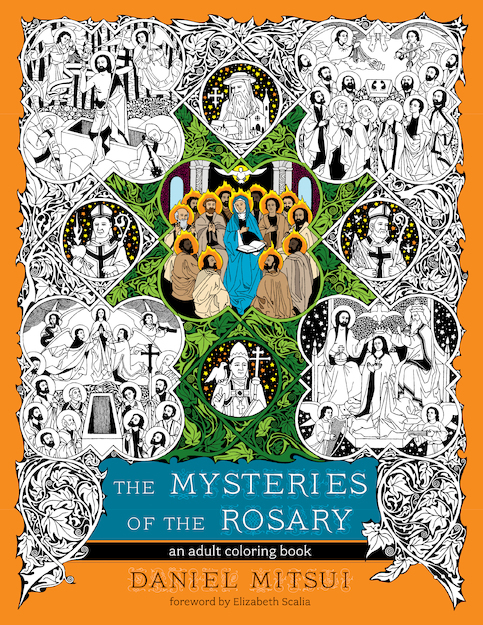 The intricate drawings in this coloring book are based on stained-glass art that depicts the various mysteries of the Rosary, as well as the four Evangelists, some prophets and several saints. The paper in this book is of lighter weight than the others, and I haven’t tested markers on this paper yet, so I can’t speak to whether ink would bleed through. (I’m still at the colored-pencil stage). The only drawback I found with these coloring books is that the pages are not perforated, so they are not easy to remove. I prefer to work on a clipboard or tabletop rather than hold the book flat on a table while I color. Both books are printed on heavy, high-quality paper, which is especially important for those who color with felt-tipped markers. Whether or not you think you’re very artistic, time spent coloring is calming and meditative. 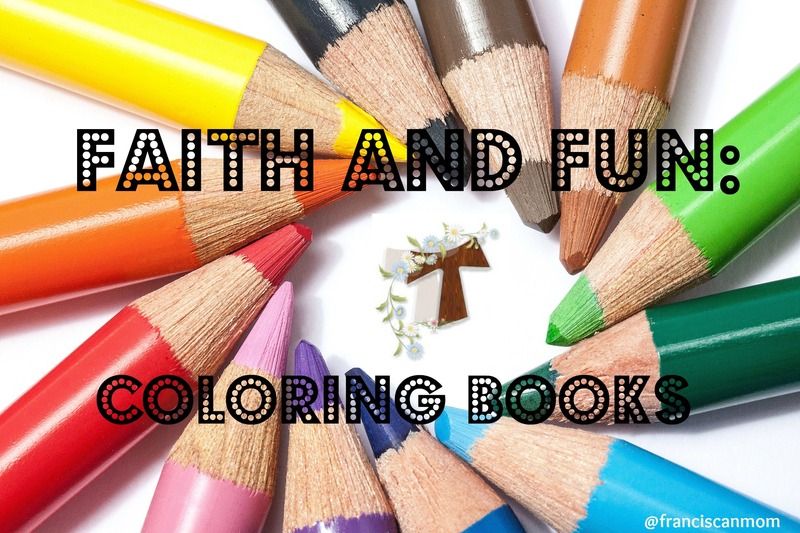 These coloring books are steeped in prayer and will inspire you as you color. Image via Pixabay (2014), CC0 Public Domain. The fine print: I received complimentary copies of each of these coloring books, courtesy of the publishers, but no other compensation, for my review. Opinions expressed here are mine alone. All Amazon links are affiliate links. Purchases made using my affiliate links help support this website. Thank you!